Before you start your property investment journey, it’s vital that you build a strategy so that you stay on track and focus. 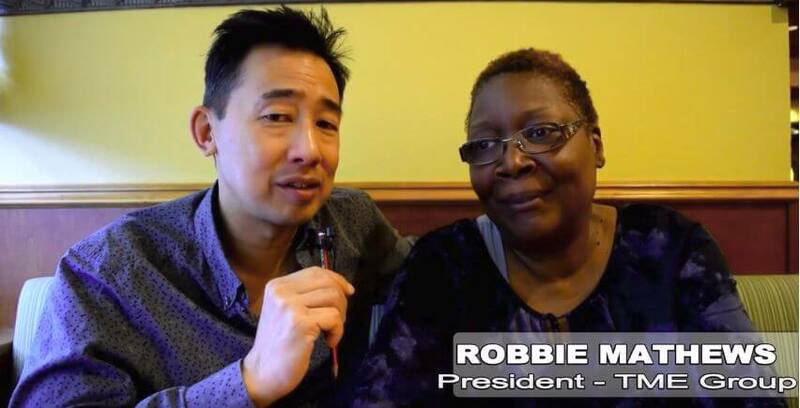 In this interview, Inspirational Woman of the Year 2017, Robbie Mathews and Ben Chai share several tips on building a property investment strategy. This interview was taken at the JT Foxx family reunion (now Mega Success event) for wealthy entrepreneurs and business people. Should you have a slow internet connection or cannot hear the interview, you will find a summary of Robbie’s tips below the video. However, we do recommend you watch and listen to Robbie as there are many more in-depth insights and learnings than our notes provide. The passive investor is looking to generate income primarily through investing in Private Equity Groups or through Real Estate Investment Trusts (REITs). Essentially, passive investors give their money to other people that then invest their money for them. An advantage of passive investing is that you can invest in property without needing to spend time on finding property deals, managing tenants, and repair damages. However, the returns are potentially lower as a passive investor needs to split the profits with the other investors and has less control over the investment decisions of the group. An active investor is on the front lines actively finding deals, fixing the things that need fixing, getting mortgages, and building relationships with letting agents. Naturally, active investing requires a significant time investment. The time investment also extends to educating oneself on all the aspects of property investing. This includes negotiating, understanding property laws, learning about cash flow, getting investment from other people, and a tonne of other skills. Robbie followed the path of the passive investor, so that meant she (and her husband Michael) needed to find partners to join them on their property investment journey. In any property investment journey (well, in any journey really), you’re going to need to find people that can offer you advice and help you on your journey. When you go looking for partners, it’s important to find people that you’ll be able to go through stressful situations with. In order to find the right people to work with, it’s worth “dating” prospective partners to discern if you’ll be able to work well with them. Take them to coffee, or invite them to play a game of tennis, and see what they’re like and what their goals are. You’re going to have to go through a lot of people before you find the partner that’s right for you. The best way to do this is to do a tonne of networking! Make a habit of going to property networking events and meeting people. Before you go networking, make a list of 10 traits that you’re looking for in a partner so that you have a solid understanding of the kind of person you’re looking to meet. With that said, be open to listening and speaking to everyone, you never know who you might meet. do bless your friends and use the buttons on the left to share the article to help them become better educated, motivated and inspired too. If you are starting your own financial freedom journey, enjoy the following articles from our library. These articles will provide you with further insights on how to achieve your dreams. Five Years to Financial Freedom is owned by Incoming Thought Limited, a company Ben and Nate created to produces all types of content for busy executives and entrepreneurs. If you’d like help with the creation of your own content strategy or with the production of an ebook, physical book, or any other media related content, do contact us, using the form below.